Until John Wilson met the warm, wise woman who became his fourth wife, the object of his most intense devotion had always been the work of William Shakespeare. From his feat of memorizing Romeo and Juliet and half a dozen other plays as a student to his evangelical zeal as a professor, John's faith in the Bard has shaped his life. But now his mental powers have been diminished by dementia, and his wife has reluctantly moved him to a residential care facility. Even there, as he struggles to understand what's going on around him, John's knowledge of the plays helps him make sense of his fractured world. Yet, when his only child, Mirandawith whom he has not spoken since a devastating misunderstanding a decade agocomes to visit, John begins to question some of his deepest convictions. In his devotion to Shakespeare, did he lose his way? Did he wrong the child who wronged him? 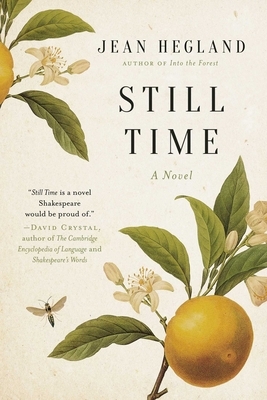 The story of an imperfect father and a wounded daughter's efforts to achieve some authentic connection even now, Still Time is a rare novel that celebrates redemption and ends on a resounding note of hope, reminding us that there is always time to live fully and love deeply, so long as we are alive. Jean Hegland is the author of the novels Into the Forest and Windfalls. Into the Forest, a BookSense Reading Group Pick, Readers Choice Book Club Favorite, and Book of the Month Club alternative pick, has been translated into nine languages. She lives in Healdsburg, California.